Do you have MOV movies that you would like to play on an iPad but surprised to find that iPad doesn't accept your MOV videos? Well, according to the information on Apple's official site, the iPad supports MPEG-4 and H.264 videos in .mov, .m4v and .mp4 file formats. iPad cannot play the MOV videos if they are encoded with some other codecs. If your MOV files are incompatible with iPad, that's probably because of the video codes issue and you will need to convert MOV to iPad media formats first. Note that here the steps to convert MOV format to iPad in Windows (Windows 8) are illustrated. The way to change MOV files for iPad on Mac is almost the same as that in Windows. You just need to make sure you have downloaded the right version. Click on the Add File button to upload the MOV videos from your devices or computer. Another option is to drag the videos directly into the program. After the media files have been loaded, you can preview them, choose the preferred subtitles/audio tracks and take snapshots of your favorite scenes as you like. 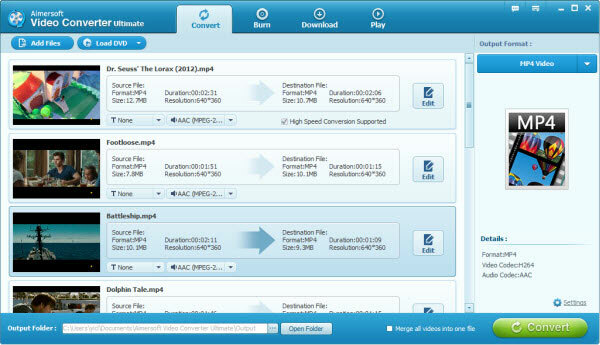 Now you can click on the drop-down list of Output Format and select the video format for iPad. Click Device > Apple and you will find that the video profiles for all models of iPad: iPad 4, iPad mini, New iPad, iPad 2 and iPad are provided. You can just select one model as the export for to convert MOV videos to fit iPad. Besides converting MOV to iPad, you can also use this program to convert MOV to MP4, MOV to AVI, MOV to M4V, MOV to WMV, MOV to MP3, etc. Once you think all the settings are OK, you can click the Convert button to start converting the MOV videos to iPad. After the conversion, you will find the iPad compatible videos in the destination folder. Just sync them to iPad and enjoy them on the go. As you can see, it is a simple task to convert your MOV files. 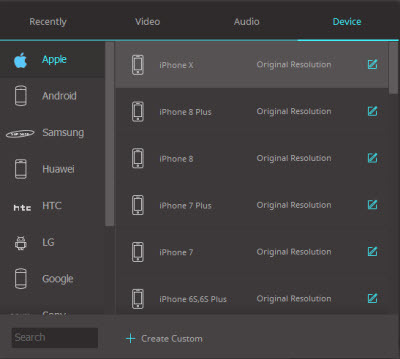 With the right converter tool, you can quickly and easily convert your MOV video files using the preset optimized settings. Bear in mind that it can also convert many of the other regular video formats such as VOB, MP4, WMV, AVI, FLV, TS, MKV, M4V, and more to iPad with high video quality. Now, you are able to watch your MOV videos on any iPad device with ease and at your convenience.